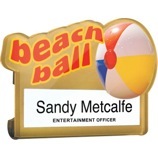 Real metal faced name window badges for card inserts in a choice of 2 sizes with different window depths. Recycled plastic backs with pin or dual pin/clip fittings. 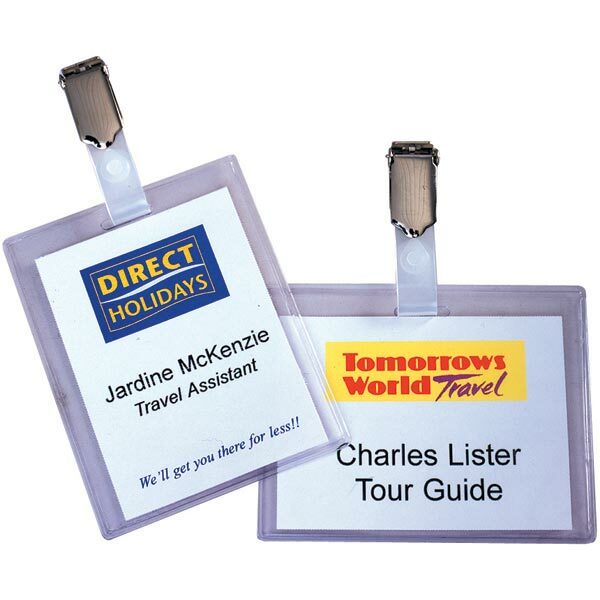 Real metal name badges with magnet fittings to avoid damage to clothing. 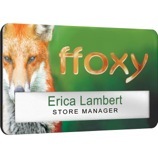 Full colour digital print. 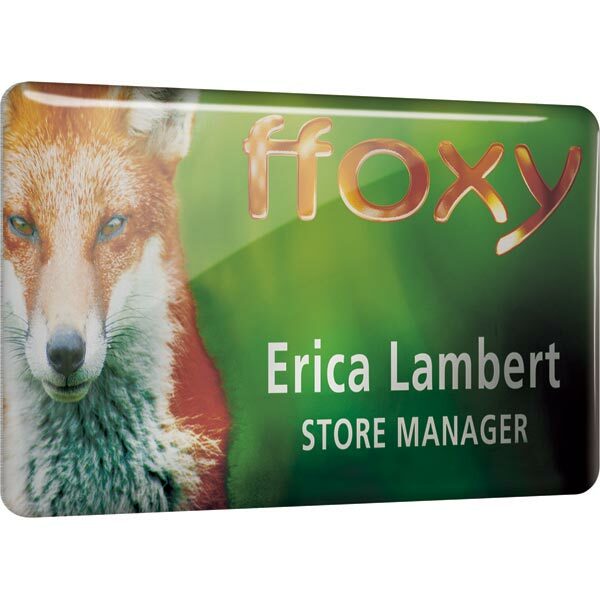 3mm thick acrylic personalised name badges back printed in silver or white then surface printed in full colour to provide stunning drop shadow effects. 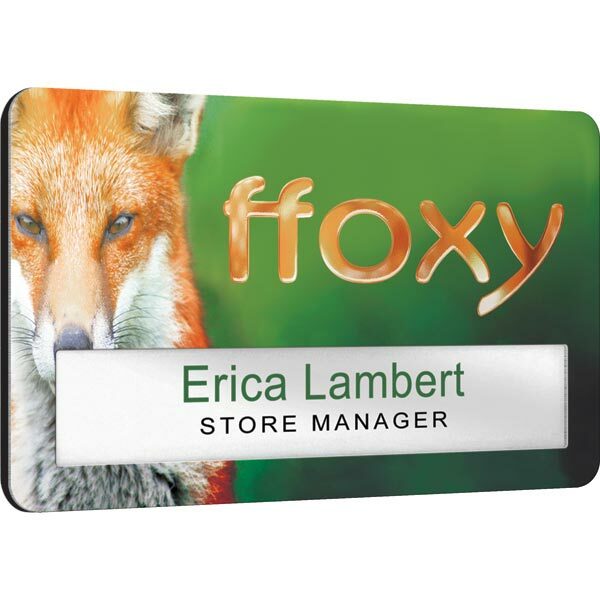 Pin or pin/clip fitting included. 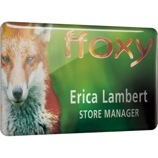 Real metal personalised name badges with an attractive clear dome finish. Names can be applied in any font / colour. 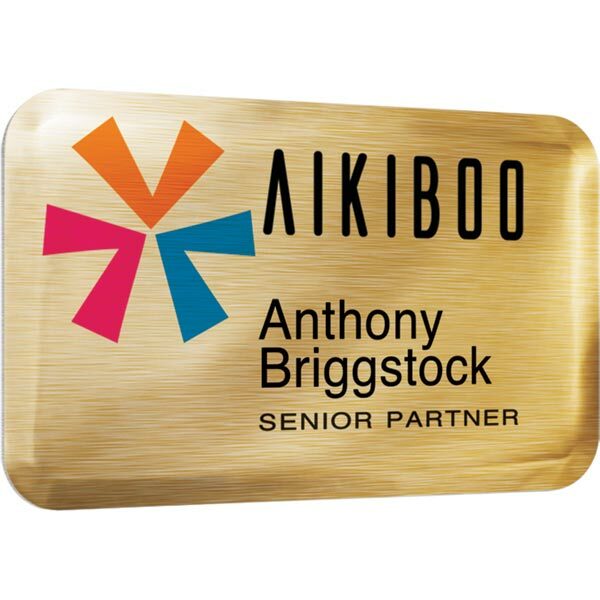 Available in 12 standard shapes/sizes and a choice of metal finishes. 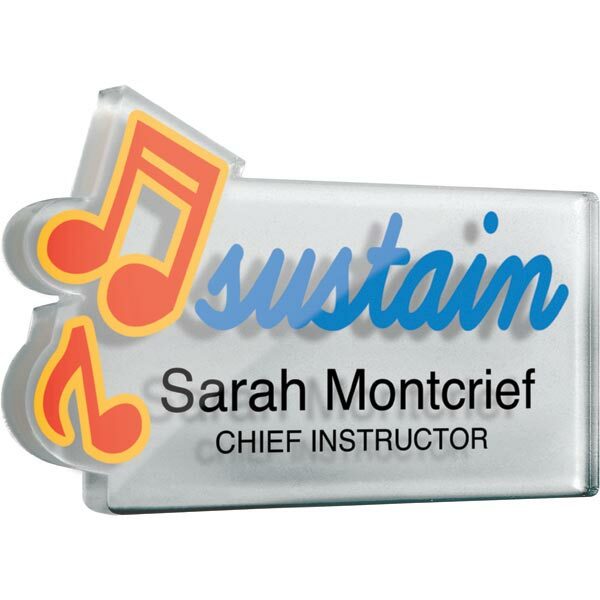 Clear acrylic name window badges reverse printed with a gloss finish. 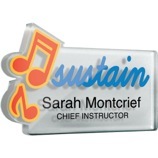 The top edge and sides can be laser cut to your unique shape at no additional cost. Pin or dual pin/clip fittings included. Screen printed in reverse to give a scratch proof finish. Heat bent to form a slot to take a card insert. Inserts supplied in A4 sheets. Supplied fitted with a standard pin to the reverse. Manufactured from clear PVC welded on three edges and open on one short or long edge. 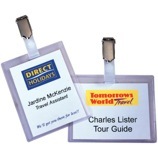 Supplied with a punched slot insert and strap clip unfitted. 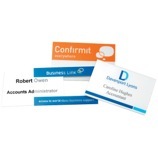 Inserts supplied in A4 sheets. 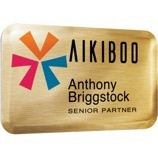 Inserts can be printed with full colour logos and names for an extra cost.